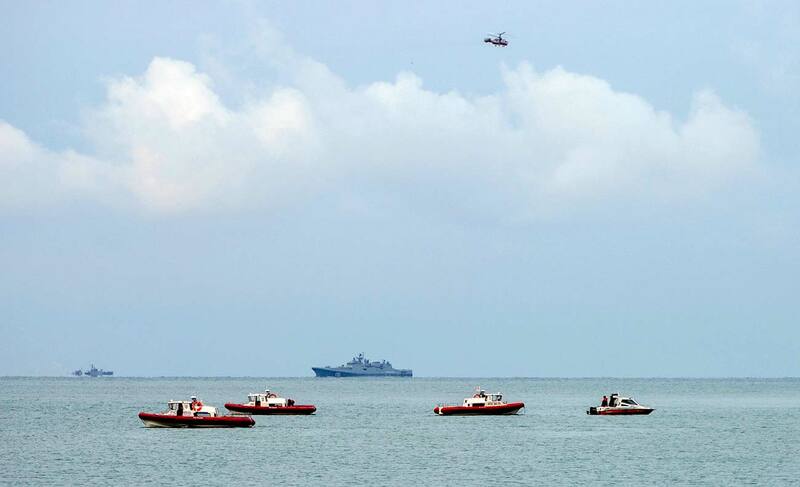 A search operation near the Black Sea coast. Three more fragments of the Russian Defense Ministry’s Tu-154 plane that crashed in the Black Sea near Sochi have been found, the Russian defense ministry said on Dec. 27. "Bathyscaphes from the Seliger boat of the Russian Defense Ministry’s deep water research and the Epron rescue boat of the Black Sea Fleet have found three more fragments of the crashed plane, including the engine, a landing gear leg and pieces of the aircraft covering, at a distance of from 1,600 to 4,500 meters," the ministry said. According to the ministry, efforts are being taken to lift these fragments from the bottom. Search operations in the Tu-154 crash zone are conducted round-the-clock. As many as 98 divers and 14 submersibles of various types are involved in the key sector of searches. A Russian defense ministry Tu-154 bound for Syria crashed in the early morning on Dec. 25 shortly after taking off from Sochi. There were 92 people on board the aircraft, including eight crew members and 84 passengers.